As a boot obsessive, it's safe to say footwear is my forte. Although it should be more about quality rather than quantity, last time I checked, I owned close to 150 pairs of shoes, and most are of the high-street variety. One of my favourite pairs is from Mango. They're black ankle boots with a red block heel, and they're the one piece I own that always make strangers stop in the street to ask me where I got them. Then there are my white kitten-heel boots from Zara, which I've had reheeled three times to be able to bring them back out year after year. There are tricks I've learned in my time as an editor to ensuring high-street boots look expensive. Firstly, the colour plays a big role, and a mock-croc or snakeskin textures often add zeros to the price. The high street also has expensive-looking knee-high pairs in camel, burgundy and berry colours. I'm usually an ankle-boot girl, but I've recently thought about investing in a pair of knee highs. Although my 18-year-old self would add them over the skinniest of jeans, I'll now be looking to wear them under chic slip skirts instead. So who's got the best ones? Well, & Other Stories and Zara (to name a few) have pulled through to fulfil my knee-high needs. Style Notes: Camille's Mango knee-highs naturally sold out within minutes, but you can get a similar pair from Zara to style with minis or midis. Style Notes: Sleek suede looks instantly premium. Make like Natasha and go for Topshop's silver toe tap calf boots. They're already selling out, so be quick. 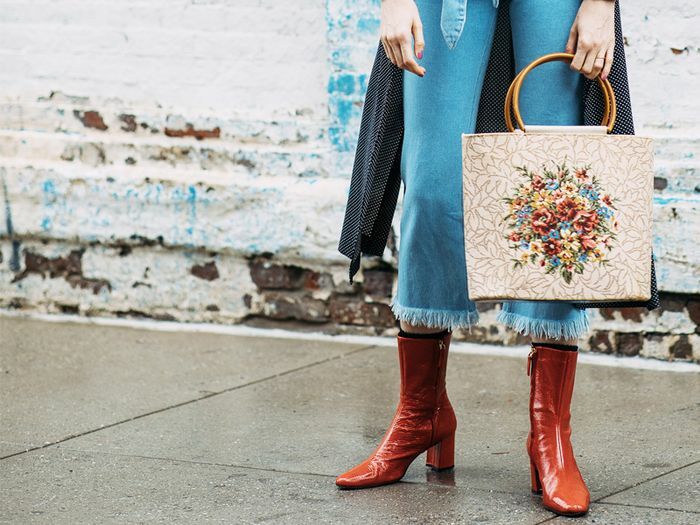 Take it from a footwear addict: These are the high-street heroes that look way more premium than their price tag. Scroll down to shop my edit of 13 pairs that will make winter worth while. They look so similar to a designer pair. The dream knee-high boots do exist. We love the chic toe cap on these boots. They also come in black, burgundy and cream. These are ticking all the flat-boot boxes. Lace-up boots are everywhere for autumn/winter. You'll wear these on repeat all year round. Who needs tights when you have these leg warmers? Mock croc makes has been proven to make accessories look more expensive. The soft taupe shade means they'll never date. Another pair of croc beauties. These sock boots look particularly expensive. Now you've got your winter boots sorted, it's time to think about those last-minute It coats.